The Minister of Plantation Industries Navin Dissanayake visited Poland from 11 to 13 September. The purpose of the visit was to explore new ways and means to promote the Ceylon Tea Market share in Poland and to strengthen economic relations between the two countries. During the visit, Minister Dissanayake met with the Polish State Minister of Agriculture P. Gizynski with the aim to intensify cooperation in the agriculture sector between the two countries. They had detailed discussions on a range of issues, including intensifying up the level of trade with agri-food products, signing a MOU in the field of agriculture, improving scientific and technological cooperation in agriculture, assisting in water management technology in Sri Lanka, and supporting specialised potato farms in Sri Lanka. The Minister also had a productive meeting with Deputy Minister of Entrepreneurship and Technology Marcin Ociepa to explore the possibility of developing trade and technology services to benefit both Poland and Sri Lanka. The discussions focused on expanding cooperation in the sectors of rural development, agriculture, tourism, education, and water management, technical assistance for boat manufacturing, exchanging trade delegations, and opening of the Polish Trade Agency in Colombo. 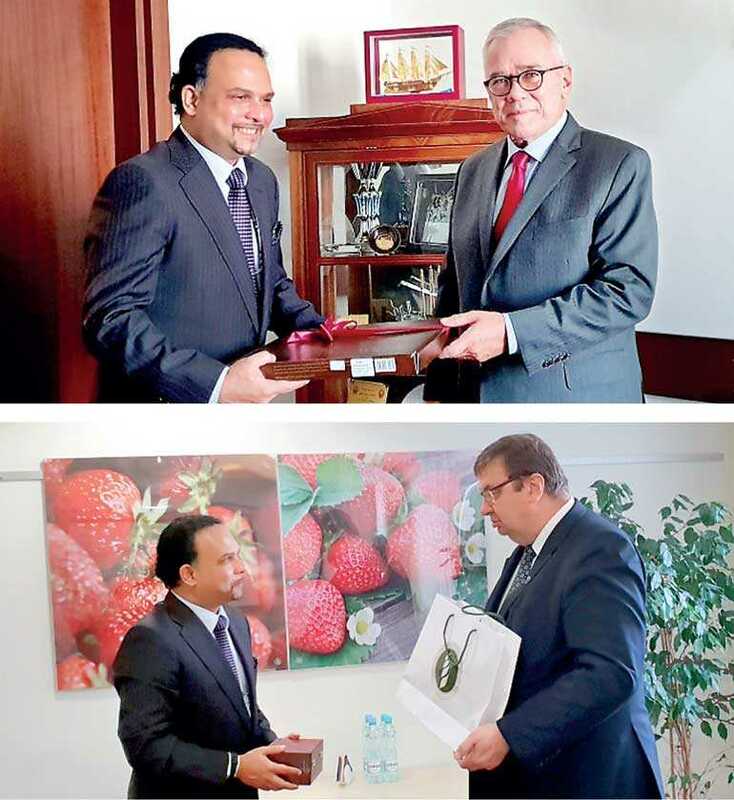 In addition, Minister Dissanayake met with a leading Polish investor, Andrzei Zarajczyk, Chairman of URSUS, a manufacturer of tractors, agriculture machinery and buses in Poland who played a crucial role in the development of agriculture in Poland and other countries in the twentieth century. At the meeting, Chairman Zarajczyk stated that he is willing to start detailed discussions on the implementation of either an Agriculture Mechanization Project (tractors), or an environmentally friendly Public Transportation Project (electric buses) or possibly both projects in order to provide Sri Lanka with modern solutions in the agriculture and public transportation sectors. Both parties agreed to consider different and flexible methods and solutions to suit the Sri Lankan people. Since Poland is among the highest tea consumers in Europe, the Minister met with major players of the tea trade in Poland both individually and at a business meeting held at the Embassy of Sri Lanka to discuss details of the tea trade. The meeting included representatives from Dilmah, Basilur, and Impra tea companies. Ambassador of Sri Lanka to Poland Tissa Wijeratne, Plantation Ministry Addl. Secretary Wickramasinghe and Sri Lanka Tea Board Director Hasitha de Alwis accompanied the Minister during the visit.